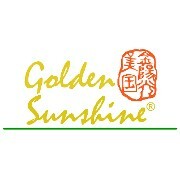 Golden Sunshine's herbal patch is a highly effective treatment for back, shoulder, or neck pain. This product was featured on Dr. Oz and includes frankincense and myrrh, ingredients used in traditional Chinese medicine. 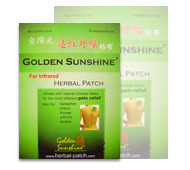 Our herbal patch is a general-purpose analgesic for treating pain and stiffness in muscles and joints. It is ideal for use on broad areas — such as the back, shoulder, or thigh - and can be cut to size for smaller areas. It can even be wrapped around fingers or toes. Each patch contains a piezoelectric ingredient that is activated by body heat to emit the far infrared frequency. They are infused with Chinese herbs that are considered either "warm," "cool," or "balanced" in Chinese herbology. 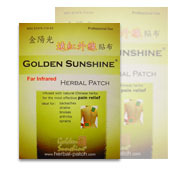 Use these patches together with our herbal cream or spray for increased potency. This product is available in several varieties, the most popular of which come in both professional and patient configurations. Patient Configurations: These products come attractively packaged, with three 15 cm x 10 cm pieces per foil bag and 50 bags per box. 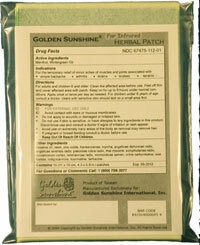 The PAIN Terminator® patches are packaged as five 7.5 cm x 10 cm pieces per foil bag and 50 bags per box. NM-103FG - Far Infrared "Cool"
PT-103 — Pain Terminator® "Balanced"
NM-103FY - Far Infrared "Warm"
Professional Configurations: The "HOT" and "COOL" patches for use in clinics come as 10 each 15 cm x 10 cm pieces per bag, and 15 bags per box. 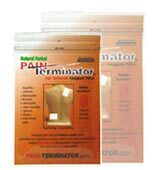 The PAIN Terminator® "Balanced" patches come as 10 each 7.5 cm x 10 cm pieces per bag, and 25 bags per box. These configurations are designed to be more economical for use in clinics and are not labeled for sale to patients. NM-103FG-P - Far Infrared "Cool"
PT-103-P - Pain Terminator® "Balanced"
NM-103FY-P - Far Infrared "HOT"